Revealed at the IBM PartnerWorld at IBM Think conference in Las Vegas, Nevada on March 20, 2018, Team Technology is pleased to announce that we’ve been selected by IBM as a runner-up for Outstanding Collaborative Work Solution and Beacon Award Finalist for creating the teamworkr technology. With teamworkr we empower the Domino community to modernize existing Notes applications through a smart and ultra fast configuration instead of manual re-programming for mobile devices and web-browsers. This includes a real mobile user interface and the usage of the already existing code base respectively the powerful business logic, which is approved over years or decades. Team Technology was selected among hundreds global IBM Business Partner applicants based on an in-depth application process that included customer testimonials. 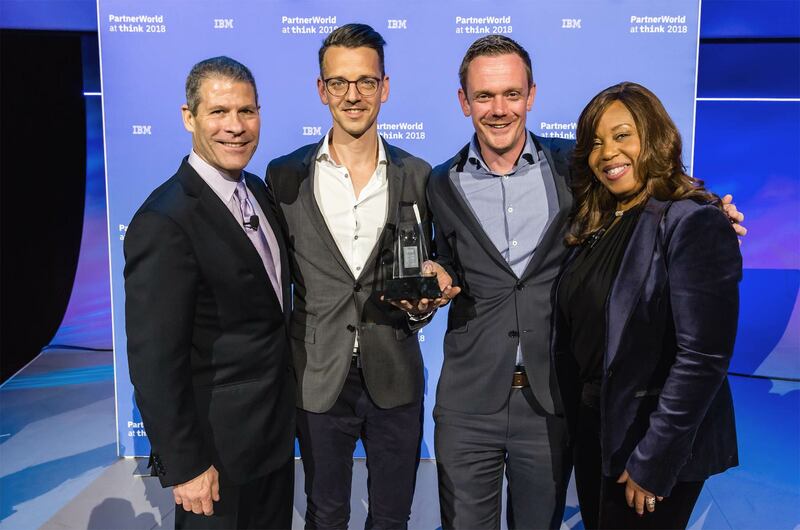 We were selected by a panel of expert judges consisting of IBM executives, industry analysts and members of the press for our exceptional work in driving business value by delivering a world-class solution through the teamworkr technology. Therefore the honour is a testament not only to our radical idea of creating an awesome user experience, but also to our customers and their needs. The IBM Beacon Awards recognize IBM Business Partners who have delivered exceptional solutions using IBM products and services. Winners and finalists exemplify what it means to be a trusted business advisor and provide true transformative value to clients.